Consumer products companies including Procter & Gamble and Coca-Cola are emerging as new targets for global activism, with green groups blaming them for fouling the ocean with plastic and activists urging governments to regulate them. At the annual World Economic Forum last week, the bosses of these and other companies such as Unilever and PepsiCo have been on the defensive, in a way reminiscent of how coal and oil chiefs came under pressure over climate change in previous years. “I see parallels to coal,” Greenpeace executive director Jennifer Morgan said after she and Procter & Gamble boss David Taylor had a feisty exchange at a joint news conference at the forum in the Swiss ski resort of Davos. “It’s clear they are trying to not be regulated,” she said. The CEOs at Davos have vowed to cut their use of plastic packaging through a range of initiatives, including a joint recycling scheme unveiled during the forum. But Greenpeace used that announcement to call for plastic packaging bans and a goal of “peak plastic”, saying recycling is not enough. About 8-million tons of plastic are dumped into oceans every year, killing marine life and entering the food chain, according to the UN Environment Programme. Data such as that, and TV shows such as documentary-maker David Attenborough’s Blue Planet, took the issue to the top of the summit agenda. Attenborough, 92, was honoured with a special award at the start of the annual event, where environmental concerns were a running theme alongside gloom and doom over the US-China trade war and a slowdown in the global economy. “I sometimes wonder if we’re in the branded litter business, branded trash,” Unilever CEO Alan Jope half-joked after he was asked during a panel debate if consumers were interested in the source of the company’s products. In 2017 at Davos, Dove soapmaker Unilever promised to ensure all of its plastic packaging is recyclable, reusable or compostable by 2025. “Two years ago at Davos, Unilever was in front on plastics. 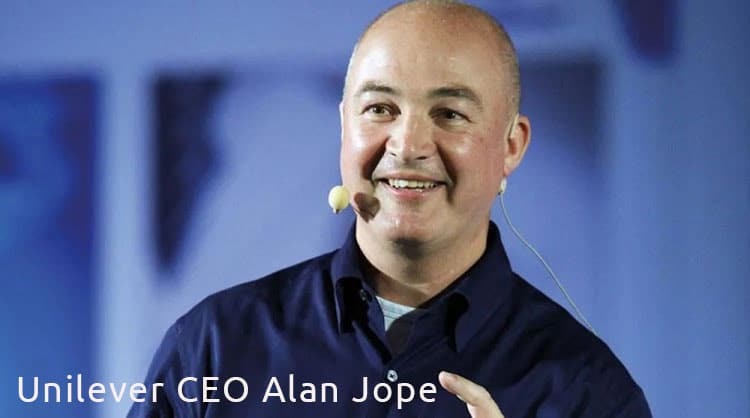 At the moment it’s very high on our radar to do something about plastic waste above and beyond … the rest of the industry,” said Jope. Dozens of big companies have made pledges to reduce plastic packaging, including a plan by 40 companies to eliminate unnecessary single-use plastic packaging in Britain by 2025. “We will roll out new tech next year that will reduce the amount of packaging per kilo,” PepsiCo CEO Ramon Laguarta said at Davos, adding that Pepsi is trying to move more toward reusable cans and glass. PepsiCo, Unilever and European supermarket chains Carrefour and Tesco are among companies that signed up to the pilot waste-reduction programme unveiled in Davos. It will deliver products such as orange juice in reusable bottles to shoppers and pick up the empties for cleaning and reuse. “We can learn about the business model, and the consumer reaction to this and find solutions that last,” P&G’s Taylor said at the announcement. At one Davos panel debate, human rights lawyer Vivek Maru, founder of legal advocacy group Namati, asked PepsiCo’s Laguarta and the head of The Dow Chemical Company, Jim Fitterling, if they could be sued for the damage their companies had done, similar to litigation against the tobacco industry. “It’s a difficult question to answer,” Fitterling said. “The plastic waste got there through consumer behaviour and people putting it out into the environment.”….